On the 6th of December we celebrated St. Nicholas and as a tradition, we gave each other some gifts (friends and family). 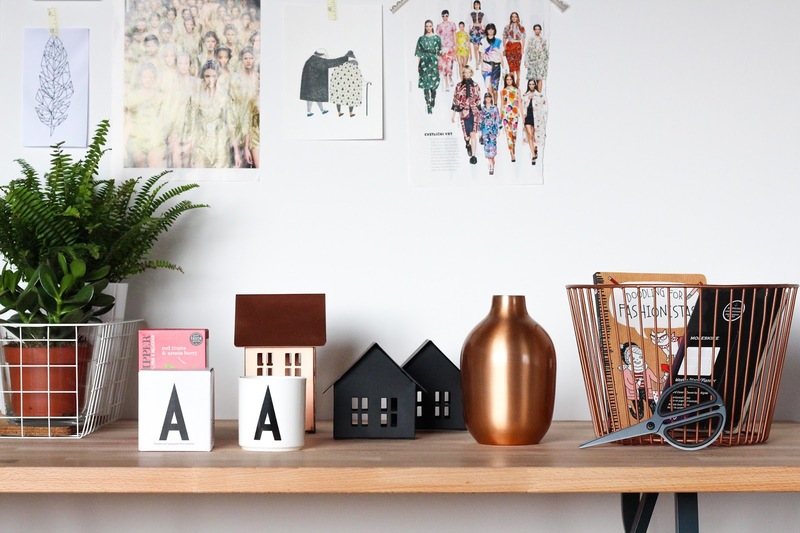 In this post I'll feature the homeware presents, which I'll use in my studio, and some items that I bought on the trip to Ikea in Klagenfurt last Saturday. 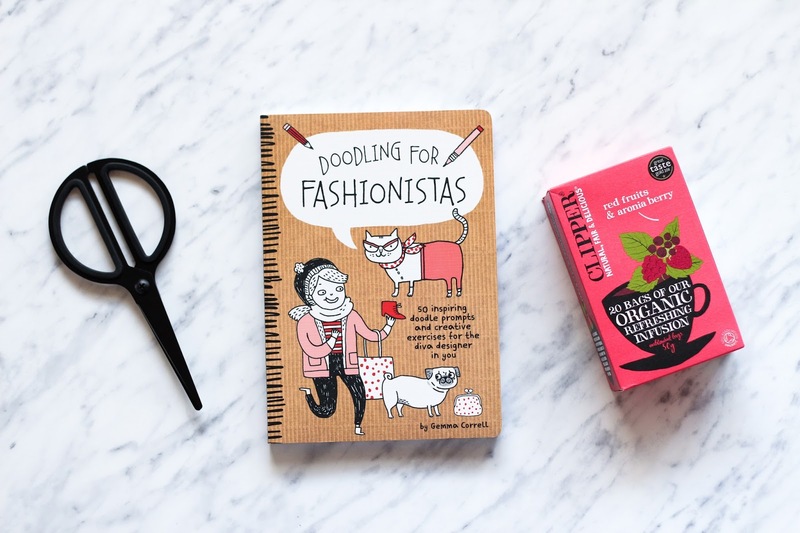 I absolutely love and am really grateful for all the gifts I've received: letter A from the Design Letters & Friends, a book by Gemma Correll called Doodling for Fashionista and some lovely Clipper Tea: Red Fruits & Aronia Berry. From Ikea I mainly purchased small decorative items for the studio. 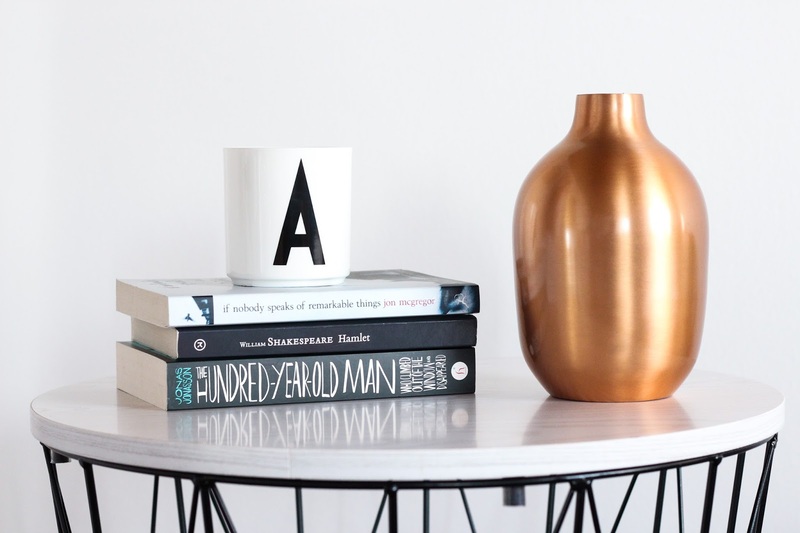 I absolutely love the copper trend at the moment in combination with black and white. Kdaj si kupila Ikea copper basket? Sem bila kakšen teden nazaj pa nikjer vidla :/ Kolko pa je bla? Nice gifs and happy holidays from Spain.